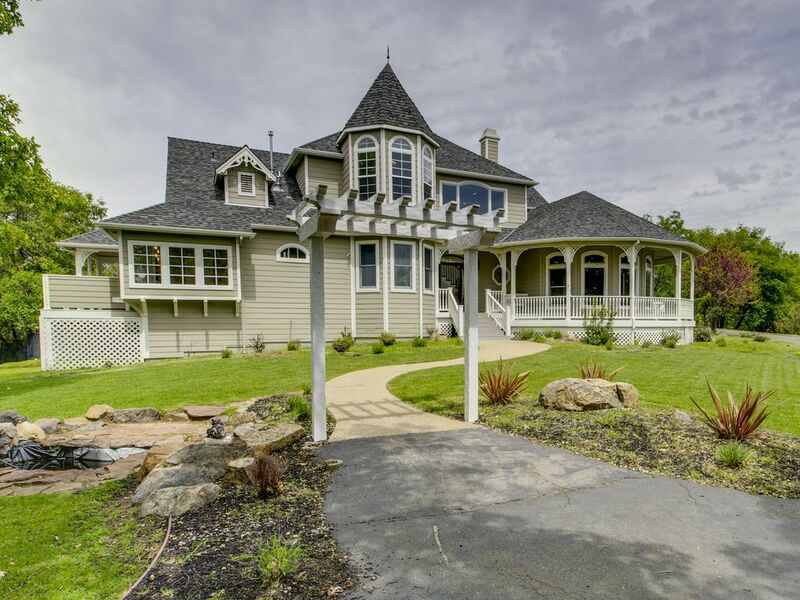 Newly remodeled beautiful 4700+ sqft., 5 Bedroom, 5.5 Bath situated on 20 acres with pool. Kitchen features 2 ovens, 2 dishwashers, 6 burner cooktop and warming drawer. Game room features a pool table, foosball, poker table, air hockey, TV and 3/4 bathroom. Pool area is gated, features a gas fire pit, BBQ and amazing pool with water slide. Playhouse for the young at heart, volleyball, ping pong and 2 horseshoe pits are among some of the amenities offered. If you’re looking for peace, tranquility, comfort, and fun. Sheryl’s property will provide that and more. No words can express the greatness of this property. I’m coming back. Returned again to this wonderful place! I'm not sure I can say much more than I plan on returning again and again. Such a wonderful home and beautiful place in the foothills. And the owner Sheryl is such a wonderful person to work with. She always makes sure everything is great for your stay. We plan on returning again soon! Thanks Sheryl for sharing your wonderful home with us all. Really great house and property! Everything you need and more. Excellent choice. Great Mountain House for Families! One of the best houses we have stayed in with VRBO. Great space, well supplied, fun layout. The owner was very easy to contact as was the local manager. We came with 5 kids and six adults and an infant. We used the pool every day. Sutter Creek was a fun town to explore and we even made it to Yosemite for a day. Highest possible ratings!!! Would love to come again. House was perfect for large family gathering age 6mo to 82! Something for everyone! The house was perfect for celebrating a birthday. Came stocked with a cooler, towels and everything. The owners were very responsive and helpful throughout the weekend. You won’t be disappointed.